How embarrassing, more than 2 months after releasing the update Money still has not resolved known issues with the App. I am unable to receive any issues, I have tried deleting the app and reinstalling. Have tried my email, have tried my subscriber number, neither work. The email address actually lets me sign in but no issues are present. The subscriber number, taken directly off my print issue, is not recognized....I simply get an error “we are experiencing difficulties at this time”....that is the same error I received 2 months ago.....time to hire new developers if it takes this long to fix an issue. Like other reviewers, I have my magazine in hand and am now unable to log in with the account number as shown on the screen of the app... Incredibly frustrating. New App doesn't accept login. Neither account # nor User id is accepted. Message states User does not exist. Old app worked fine. Like other commenters, I also can no longer access my subscription. This app seems to be completely broken. To make things worse, the in app help topics were written in 2014 for an app that no longer exists. New app won’t recognize my account nUmber or email address associated with account. I was unable to resolve over the phone. On my 3rd call they put me on hold and after 20mins the line got disconnected. Hope they resolve this issue soon. I do also get the print version but if not resolved soon on digital my plan is to cancel subscription. The new Money iPhone app fails to recognize my active Money Magazine subscription—it simply won’t allow a log-in, either using my e-mail address/password (which had worked on the prior app version) or the account number printed on my physical magazine. Magazine customer service was unable to resolve the issue over the telephone (they had no idea what was going on with the new app). Totally dysfunctional app, waste of time. The app is schizophrenic, reloading constantly, loosing track of what it was executing, and reloading again. Piece of crap! I ordered dual version of money magazine in February. By I haven’t got any prints yet, and I got charge $4.99 in my apple store account . 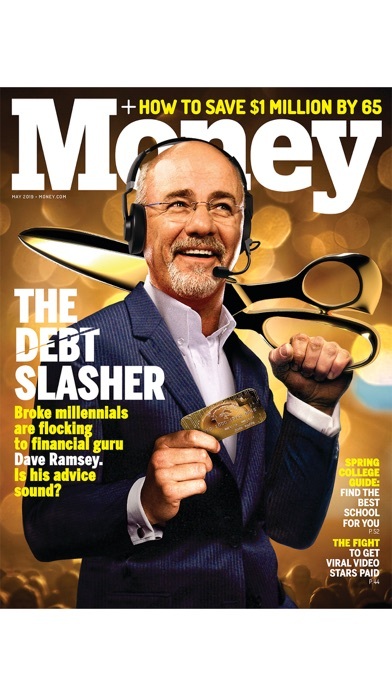 Is money magazine really exists? 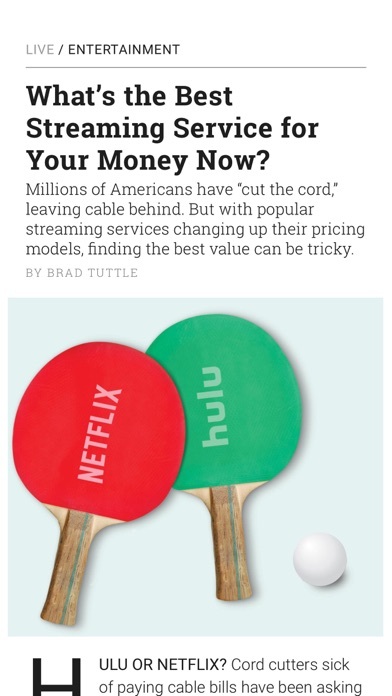 Money magazine just wants your money. 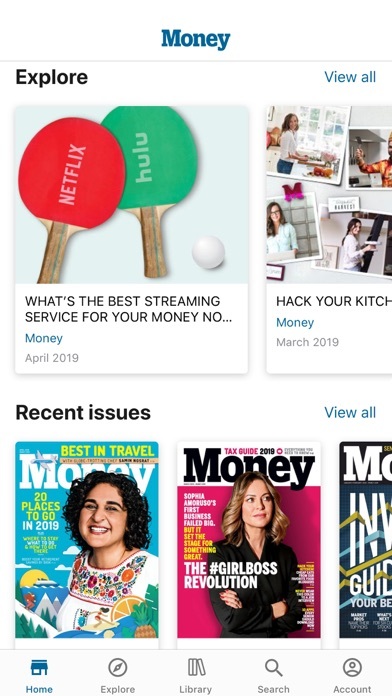 Years ago I was very pleased that Money offered a digital ONLY subscription -- I love using my iPad, like to be clutter free and would just throw away the unused print version. Oh yeah, and I save a few bucks on the subscription! However, the recently updated app has been very disappointing. As others have noted: (1) when away from a Wifi connection it doesn't seem to be able to access "downloaded" issues or the magazine. (2) it is very slow to open issues. (3) I've reported the above to customer support and received no feedback. Please fix it or just bring back the old version of the app -- I had been very happy with it. I’ve sent three separate feedback E-Mails regarding the inability to access downloaded issues when not connected to the internet and nobody has bothered to respond. Very disappointed this doesn’t work and no response from the developers. Has anyone else experienced this problem? Since the upgrade, this app has become painfully slow. It stalled out on me a few times as I tried to download issues. Very frustrating. Took me a little while to get logged back in. I hadnt done so in a long time. 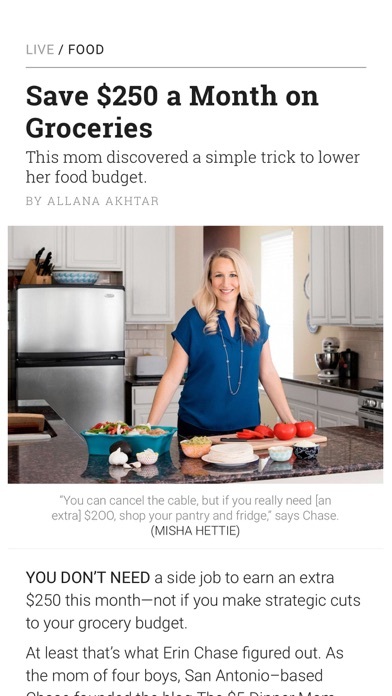 Really like the swipe up for reader view thing. And it's nice to have the Latest view so I have something to read between issues. This app is at very best mediocre. There are no links to interactive videos or any additional content. From the index/contents page, you can't click directly to an article. All this is is screen shots of each individual page. I will be deleting this app from my iPad. **Update - 2/24/17: I've been checking this app daily hoping that Time/Money would fix this issue. Thankfully, it appears that they have done so. The text is much crisper and it is again possible to zoom in and out. I've changed my rating to 4 stars since it's meeting my expectations well and since several individuals at Time/Money/Fortune responded to me via email regarding this. I'll gladly bump it higher once I'm confident that this issue has been permanently resolved. In the meantime, it's nice to enjoy a better reading experience again. Thank you Time/Money/Fortune for addressing your customers' concerns. **Original Review: I was pleased with this App until I downloaded the March 2017 issue. Unlike the January issue, the March issue was fuzzy and pixelated. I removed the issue and reinstalled it but didn't see any improvement. I contacted Money's Digital Support Dept. They didn't have any advice but mentioned that some of Times' magazines are being processed in way that could be the cause of this issue. Unless I'm doing something wrong (quite possibly), I hope that efforts will be made to resolve this. Last issue (March 2017) is super unreadable - I see HUGE pixels on pictures and all text. The text appears all fuzzy now, and you can't see two pages at once in landscape mode. As others have commented, this makes the magazine in the app entirely unreadable. What a disappointment! The inability to expand text size, lack of web connected connect, poor text legibility all contribute to a lackluster experience. This app's predecessor from two years ago was light years ahead of this iteration. Surely you can do better than this. It is a pain to read. Can no longer enlarge text...it is too small to read comfortably. Text also looks smeared,like a poor Xerox copy. Edges of letters are not sharp. Navigation is just like print copy...turn each page till you get to the article you want. 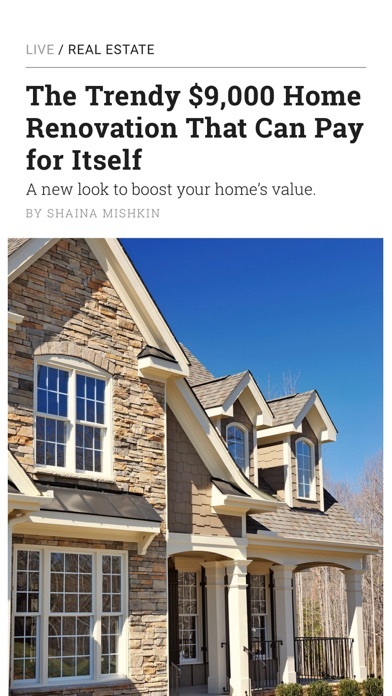 Should be able to link to articles from table of contents. iOS 9.x on iPad 3. Long time subscriber that would stick to paper mags if I were not so heavy into sustainability. The page does not rotate horizontally, no clickable table of contents with links to articles of interest, no search feature. I also liked the old layout where you could choose font size and scroll if too big. Having to pinch and expand each page gets tired. This app can be so much better with relatively little effort. I've been a long time subscriber, so it's great to have past issues available in the app. Clickable TOC would be nice. This app is very limited in functionality. All you are able to do is read the text turning one page at a time, there are no clickable links in the text to get you around quicker like going to the table of contents and clicking on a section you,d like to read and it just taking you there. Also you don't have access to past issues. I was hoping it would have a search feature to search for topics in the current and past magazines. You don't even have access to past magazines without paying $4.99 to access them. I subscribed and enjoyed January. February was not delivered. I contacted Money, they said contact iTunes. I contacted iTunes and they said to take it up with Money. So I'm stuck. I tried all the usual fixes like uninstalling it, etc. Love the magazine, hate the app. Hope they can fix this soon. Need IPad Pro version !! It works great in iPad mini, but when I try to read it when iPad pro standing on the keyboard, it doesn't rotate horizontally, it makes the reading difficult with iPad-pro. Can you please fix it ASAP? What happened to the rich content? It's been awhile since I've accessed the digital content for my subscription. In the past, the digital version had hyperlinked and single page stories with coded rich content. Now it's nothing more than a scanned copy of the paper version with font so small I can't read it without reading glasses it zooming the screen. Why should I continue to subscribe for such a pot representation? Please being back the rich content that made this a great reading experience in the past. Certainly this is a good magazine format, while I honestly don't like the way it scrolls down, I'm used to it now. I like that the app saves what page I'm on while reading, with some other magazines don't do. And of course the content of the magazine is very good. Some navigation screens are confusing though. This new version is terrible! Hard to read and difficult to move around in. This was a great app for a long time. But in the last couple of months they changed it. It's not really an iPad version any more just a scanned magazine. Can't click on any links, can't jump to any story. I don't know why they changed it. 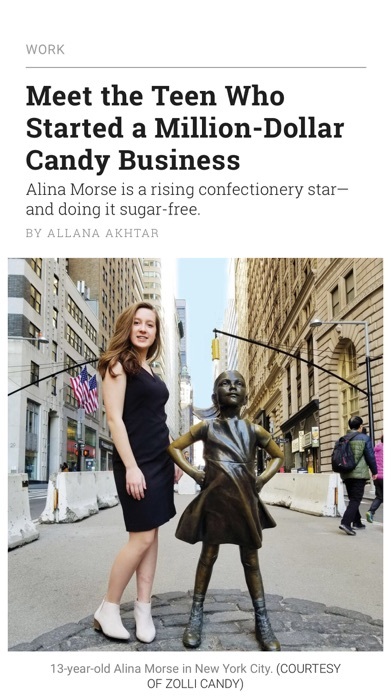 Money magazine content is great but this app is total crap! Worst app on the WWW. It's all about the Money; theirs. This app was my favorite mag app just behind O mag but the changes made starting with the July issue are dreadful. They went from a very visually pleasing interactive app to a shrunken down version and of the PAPER mag. It is really hard to read because of text size and not nearly as user friendly as it used to be. This is terrible; please bring the old version back! No problems accessing or using on my iPad. Horrible experience to attempt to see purchased mags. I usually read mags only when traveling so it can be weeks or months since the last access. Each access attempt requires the entry of a un and pw that are unique to this mag and who can remember that from months earlier? And of course I would not bring mags on a trip. I have not been able to read an issue in months. There has to be a better security access process. Easy to use very user friendly relative to updating new issues. Initial access too cumbersome, but once you're in it's pretty good except disappointed it does not allow the emailing of an article or part of one nor the copying of one or a portion to "Onenote" or similar for future reference. Great picture and text quality. Interface can be improved. I find myself sometimes accidentally turning a page when I meant to scroll down. I called support as I cannot get any issues to download. The support person could not even spell my name, Mike, correctly. They are in the freaking Philippines. Piece of trash purchase! This app has poor support. I have a 1 year subscription but cannot seem to log onto the app. I have used any and all emails that I have to login and retrieve my password to no avail. I've logged in a support ticket with no response. I can see my subscription valid in my iTunes subscription but I don't believe this app communicates logon information across iTunes. FRUSTRATING. I'll not be renewing until they release iphone 6 + version, it's big beautiful screen..
I’m not sure why Time isn’t following other publishers and making this available for the iPhone, especially iPhone 6 Plus, but it is likely the only reason I will not renew my subscription this year. Good magazine, but I’ve moved pretty much exclusively to the iPhone 6 Plus and other magazines look great on it!